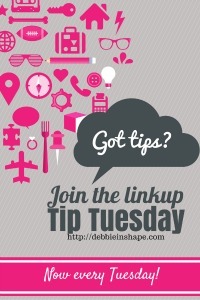 Welcome to Tip Tuesday Linkup Party #9! Today, instead of a top 3, I chose posts myself to be on the spotlight today. Host’s Choice Tip Tuesday #8: Debbie, Kath and Lori.